Don’t Sink Zucchini Boats – Butter, Baking, and Bacon! What’s a girl to do when there’s a craving for pizza, but summer is a short 3 months away? I don’t know about you, but pudgy, fudgy belly rolls in a bathing suit are not my idea of cute! But the thought of fresh tomato sauce, melty cheese, spicy pepperoni, and fresh veggies on a buttery crust is pretty enticing. On the other hand, I did see this fabulous 2 piece bathing suit that a fit, fine, and tight me would look great in. Then again, I really can’t knock the pizza craving! Ugh! Activate The Domestic Diva culinary thinking cap! …………………..still thinking…………. ……………………………no, don’t like that idea……….still thinking……………………………………Great Gatsby and Audrey Hepburn, I’ve got it! Since I want to look fabulous on a boat and not have my love handles sink the boat, we can have the deliciousness of the pizza toppings in a grilled zucchini boat! No carby pizza crust to worry with, but we maintain the cheesy, saucy, pepperoni goodness of the pizza we love! Preheat oven to 375 degrees F. Line a baking sheet with parchment paper; set aside.Cut each zucchini in half horizontally, then carefully scoop out the center of the zucchini, reserving for another use, leaving about 1/2-inch of zucchini on the skin.Heat olive oil in a saucepan over medium high heat. Add bell pepper, garlic, ground turkey sausage, oregano, basil, salt and pepper, to taste. Cook until browned, about 3-5 minutes, making sure to crumble the turkey as it cooks; drain excess fat. Stir in marinara sauce until heated through, about 1-2 minutes.Add ground turkey mixture to each zucchini and sprinkle with mozzarella. 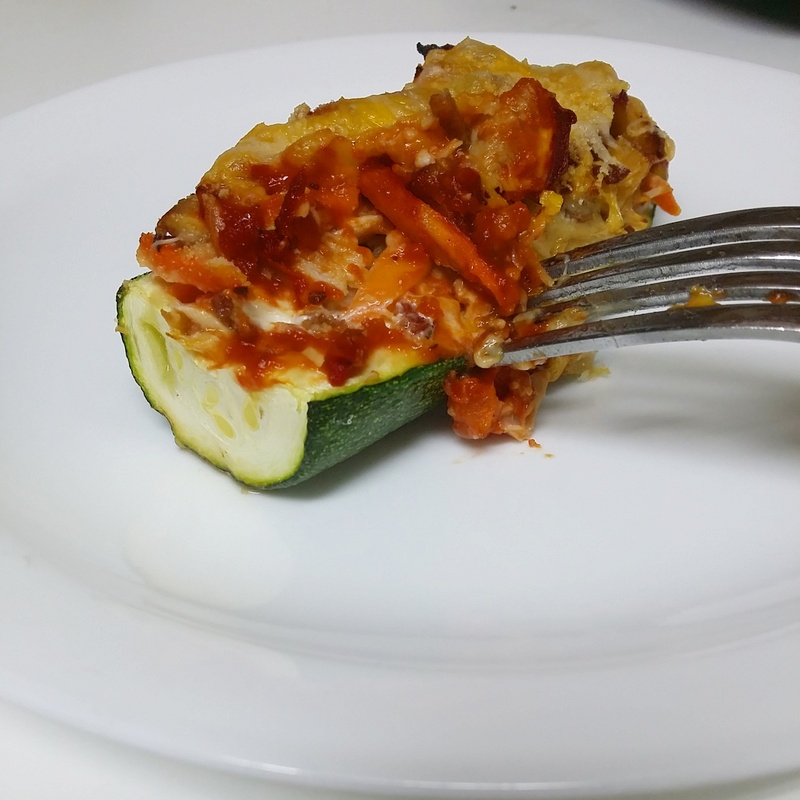 Place into oven and bake until the zucchini is tender and the cheese has melted, about 10-12 minutes.Serve immediately. Next Post The Tastes of Fall!